According to the reports collected from experts in the information security world, more companies have become victim of serious cyber threats in the year 2018. The prime reason behind such issues has been found to be poor security measures followed by corporations. The large organisations in general, get into complicated troubles in the digital world; hence, it is important to develop strong strategies for cyber security. The confidential and sensitive information must be kept safe from unauthorised access by implementing advanced information security strategies. Before you suffer any major loss, it is important to deal with the basic threats like unauthorized access to the system in the organisation spontaneously. 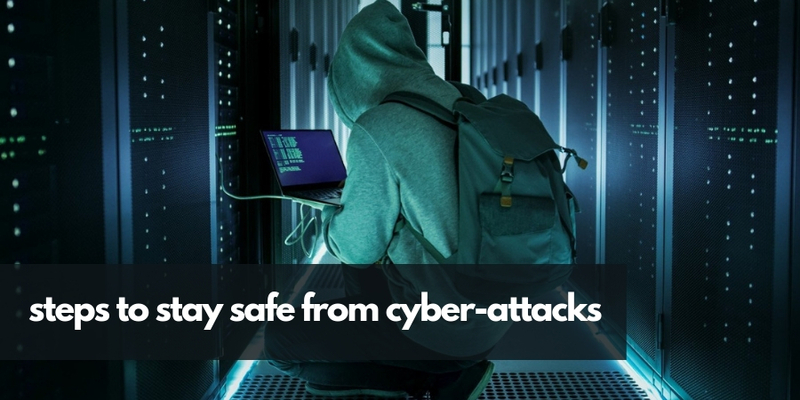 Hackers are always looking for opportunities to steal sensitive data that is essential for day to day activities of companies; therefore, it is always important to follow preventive measures to protect valuable information within an organisation. In order to avoid trouble, identify the potential threats on time. The best way to keep your information safe from attackers is to spread awareness about cybercrimes in your organisation. Records that are more attractive for cybercriminals must be always kept safe. Prefer to develop strict policies for data protection and find out effective solutions to deal with the threats. It is well understood that employees have insights into the key elements of business; hence, any mistake from their side may lead to serious troubles for the organisation. It is important to motivate them to handle sensitive data carefully. Also, check how they use passwords and what kind of messages they share outside. It is good to use password managers to deal with passwords on the premises. In order to avoid the risks of hacker attacks, enable two-factor authentication and encourage all employees to do the same. It protects your accounts with an additional layer of security to prevent unauthorized access since it requires the use of a unique code along with the password every time to login. As business starts growing, it becomes more difficult to deal with security measures for a huge set of data on the premises. In order to ensure safety in such situations, it is good to perform audits with the help of IT Services providers in London to ensure the existing security conduct is still effective. Large businesses can also think of hiring a team of full-time security professionals to deal with day to day security issues in the company. One of the most effective solutions to keep the company safe from online threats is to develop strong sing-off policy. Make sure all employees return their mobile devices and laptops before leaving the premises. Also, the email addresses must be encrypted to make it more difficult for hackers to penetrate into company’s emails. Data that is more vulnerable to hacking attacks must be protected with extra care. It is important to follow strict practices when accessing sensitive data in the organisation. Make sure it can be accessed by authorized staff only and train staff on how to deal with sensitive information as it helps to prevent data access to intruders. It is important to conduct risk assessment to mitigate risks of data breaching. It is useful to create a separate department on the premises that take full responsibility to deal with the risks associated with cyber threats. It is essential to ensure the uninterrupted growth of any organisation, and at the same time, these practices can avoid exposure of sensitive information to competitors. You can easily find many trusted companies around the world that offer reliable insurance policies to keep you safe from cyber-attacks. Experts at totality services, an independent IT Support London company, advice to invest on such covers to deal with the risks associated with viruses and hackers. In order to implement the right strategies for risk assessment, it is first important to be aware of the risk factors. Do in-depth research on possible threats and organised systematic audits time to time to keep the premises clean from viruses and malware. The audit results can help you to develop stronger strategies for future risk mitigation.